ST. PETERSBURG, Russia (AP) From his thigh to his foot to the back of the net, Lionel Messi finally scored a goal at this year’s World Cup. ”He’s above everybody else,” Argentina coach Jorge Sampaoli said. ”The most important thing for Leo is his human side. He cries. He suffers. He’s happy when Argentina wins. I know him. 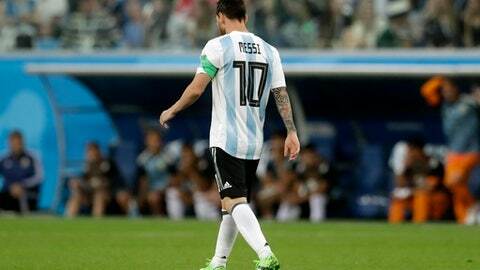 ”This is Messi,” Nigeria coach Gernot Rohr said with a shrug.